The National Institute for Water Resources (INDRHI), the Aqueduct and Sewerage Corporation of Santiago (CORAASAN) and others in Northeastern Dominican Republic are faced with an ongoing drought and demographic challenges to their water supply system. ICIWaRM is working with the parties to help develop a Scenario and Shared Vision Planning process for strategic infrastructure and management investments in water security for the Santiago region. Climate change and population growth are considered to be principal scenario planning stressors to drive decision processes. 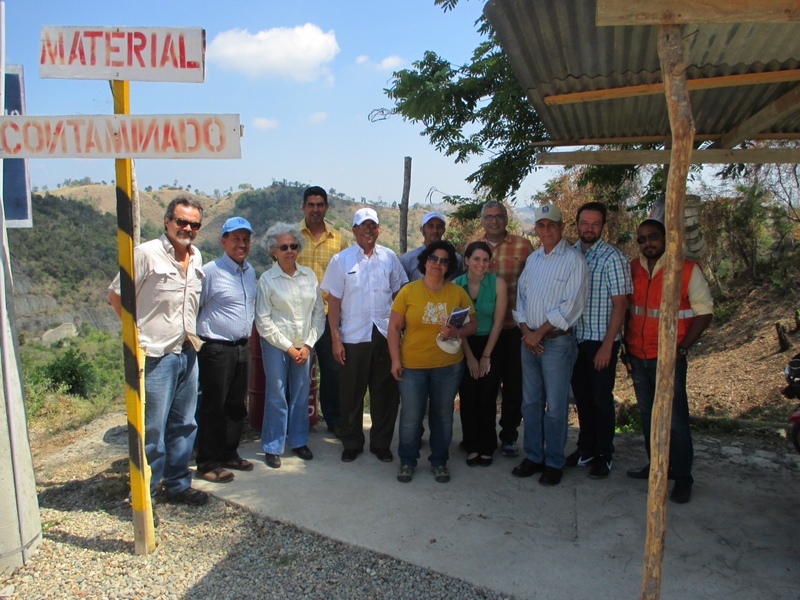 The study will help evaluate courses of action to improve delivery of water supply to the city of Santiago while considering hydropower, agriculture, and socio-environmental impacts. In addition to stakeholder engagement, the study involves reservoir operations and hydrologic analysis. Previously, ICIWaRM supported Peru’s National Water Authority (ANA ) and River Basin Councils (RBC) by building capacity and developing guidelines to develop IWRM plans at six priority pilot basins that drain to the Pacific. ICIWaRM helped develop the Terms of Reference that ANA has put for competitive bidding by international consultant firms, and provided training workshops for national and regional ANA staff and stakeholders. ICIWaRM also promoted and crafted an approach for IWRM planning, based on shared vision planning principles, which integrates water resources planning, structure participation, and collaborative water resources systems modeling. ICIWaRM worked with ANA staff to modify shared vision planning guidelines based on Peru’s unique needs. Peru had the world’s highest rate of GDP growth in 2008, and it continues to be a regional leader in economic growth. However, most of this growth occurs along the arid Pacific coast, which accounts for 1.8% of Peru’s renewable fresh water supply, where 70% of the population lives and where 80% of total water use satisfies agriculture, largely for export. Shortages in water due to inefficient use; competing uses; lack of infrastructure; droughts; and deteriorating water quality due to unregulated effluents from mining, industries, municipalities and uncontrolled use of agrochemicals; is creating increased social conflicts and limiting economic development. In a country where 50% of the population is poor, addressing social conflicts and sustaining economic growth is central to a national strategy for development. ICIWaRM’s work with ANA has been summarized in Mendoza, Cardwell and Guerrero, 2013, Integrated water resources management in Peru through shared vision planning.